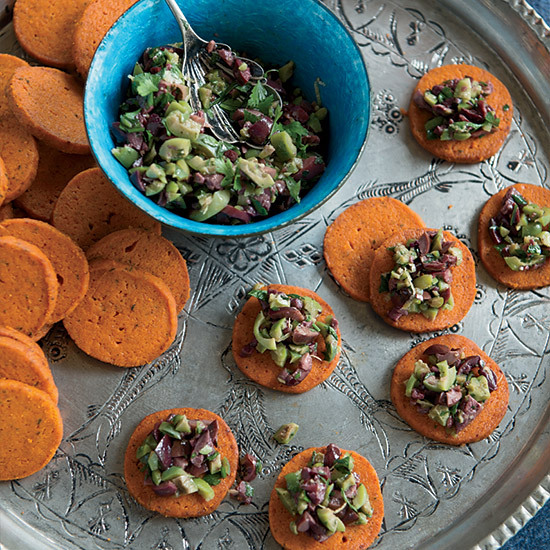 Crackers don’t have to come from the grocery store snack aisle. And they definitely don’t need to be full of fat and oil. It’s supereasy to make healthy crackers at home! Crackers don’t have to come from the grocery store snack aisle. And they definitely don’t need to be full of fat and oil. It’s supereasy to make healthy crackers at home! If you have leftover or overcooked rice on hand, try making Kristen Kish’s light and crispy rice crackers (learn how in this week’s episode of Mad Genius Tips) or opt for one of these good-for-you DIY cracker recipes. Chef Magnus Nilsson uses superhealthy linseeds (flaxseeds) to make these ethereal chips. These sesame crackers are a savory version of the traditional sweet benne (sesame) wafers that are popular throughout the South. These lacy crackers made from brown rice and wild rice (a grain from a type of grass not actually in the rice family) don’t taste like anything you’d find in a health-food store. They’re rich and incredibly crunchy. While shortbread is most often served as a sweet, this clever version transforms it into a savory biscuit that’s richly flavored with tomato paste, Parmigiano-Reggiano cheese and fresh thyme. These easy crackers are made with instant grits and Parmesan.